How to check shorting in Mobile Phones, Shorting Mobile Phone PCB Check, Mobile phone PCB, Short PCB Check to Multimeter, Mobile phone dead problems me set shorting hota hai. Mobile phone shorting ko pcb se remove krna bahut hi easy hota hai. Mobile phone me shorting hone ke many reasons ho skte hai. Mobile Phone me shorting hai ya nahi yah janane ke liye hum Digital Multimeter ka use karenge. Multimeter se mobile phone shorting ko check krna bahut hi aasan hai. Dead mobile phone or smartphone me short pcb problems hona common problem hai. 1. Multimeter ko buzzer mode per set kijiye. Jab Buzzer mode per Multimeter set hota hai to Red or Black Leads ko ek - dusre se touch krne se Beep ki sound aati hai. Multimeter ki Red lead Positive(+) or Black Lead Negative(-) hoti hai. 2. Mobile Phone PCB per Battery Connector ke (+) pin or (-) pin per Multimeter ki Red or Black Probes rakhe. Agar aap Analogue Multimeter use kar rahe hai to Ohms(×10) per set kare, Agar needle point thora sa bhi move krta hai to pcb short hai, otherwise PCB short nahi hai. Dead Mobile phone ki problem ko solve krne ke liye first PCB board se short remove krna hota hai. PCB per short ko found krke dead phone fault solution hota hai. 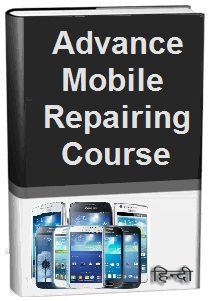 Mobile phone repairing course in hindi me learning krte rahiye.